I did another GPS-and-photo test run, this time while meeting my mom for lunch at Han Wool in Philadelphia for Bibimbap (and doing other errands). It turns out EveryTrail does do time-correlation, so I can use it with non-geocoded photos: it is the solution for my on-the-go GPS desires. However, this means abandoning Wordpress. I have made the journey from LA to Berwyn, PA (and recorded a track and some photos along the way). As of the 26th, my stuff is in a cube in storage, and I am gone from my Culver City apartment. I don't know yet how to feel about ABF U-Pack. I wanted to use mobile storage company so I could (a) store my stuff and (b) subsequently move it easily to wherever I end up. 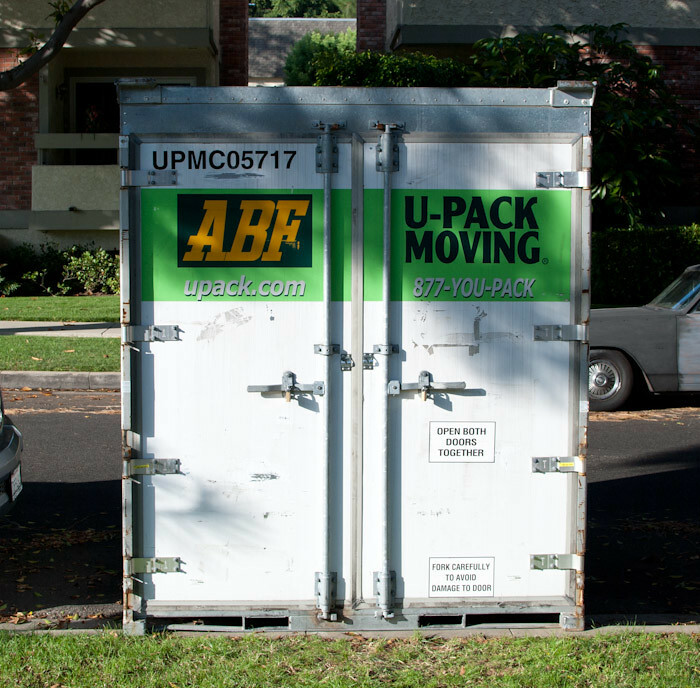 I looked at movingscam.com, which said U-Pack was the only one they'd trust (some sketchy billing with PODS); and the Better Business Bureau has a positive listing. However, cube delivery was 2-3pm instead of 8-12am; and cube pickup was first a day late (which would have been catastrophic had I been required to be present) and then ~3pm instead of "first thing in the morning". If their large-scale reliability is good, this is okay. If they are generally careless or unreliable, this is very bad. I will find out in three months, I guess. I got a Garmin eTrex Legend HCx, which I intend to use to keep a track of the hike, and which may also come in handy for navigation, or be fun for visiting confluences or geocaches. I tried it out bicycling to Wing Chun.